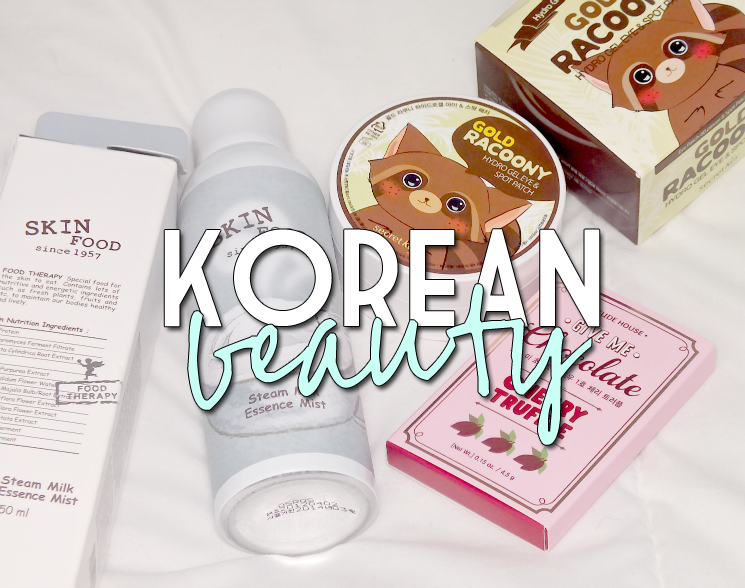 Let's spend a moment chatting international beauty, specifically Korean beauty. Interested? I love that Korean brands have gotten so popular the last year or so, because it makes it so much easier to keep up with everything happening overseas. As we all know, the North American BB (and CC, DD, and so on) craze was born from Asian beauty trends, so why not go right to the source? It also makes it easier to buy, as products from popular Korean brands are popping up at laces like Sephora and Urban Outfitters. 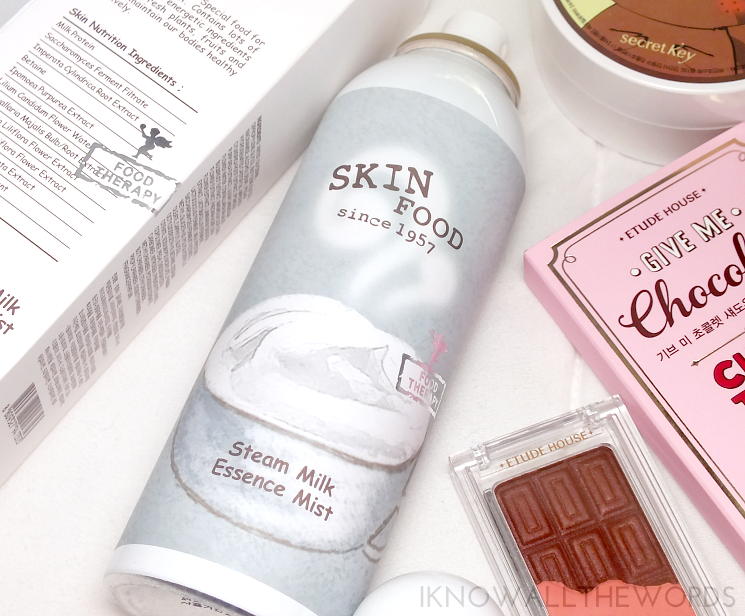 I've been enjoying a few products from Etude House, Secret Key and Skin Food and thought it was time to share. Read on! 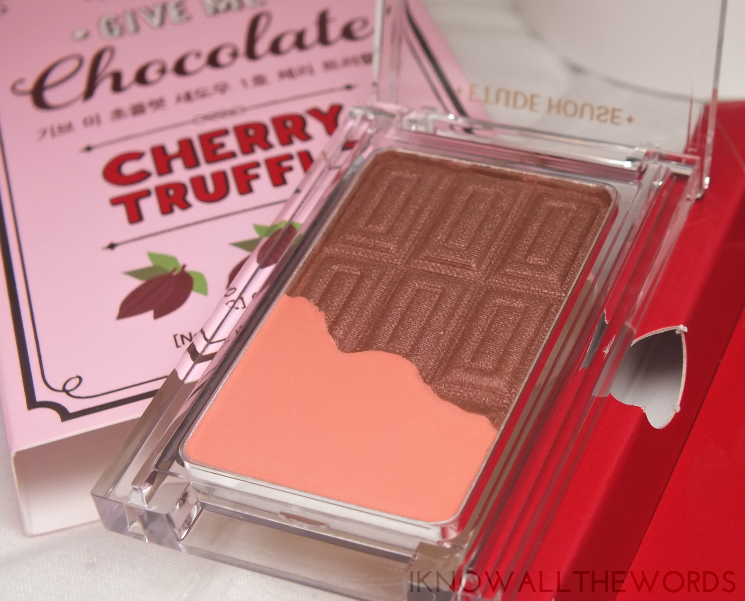 Etude House launched the limited edition Give Me Chocolate Collection in February to coincide with Valentine's Day. The collection included chocolate themed nail polishes and the very cute chocolate inspired eyeshadows. Of the three shadow combos in the collection, I picked up Cherry Truffle which has a matte, peachy-coral shade, and a bronzey-chocolate satin shade. 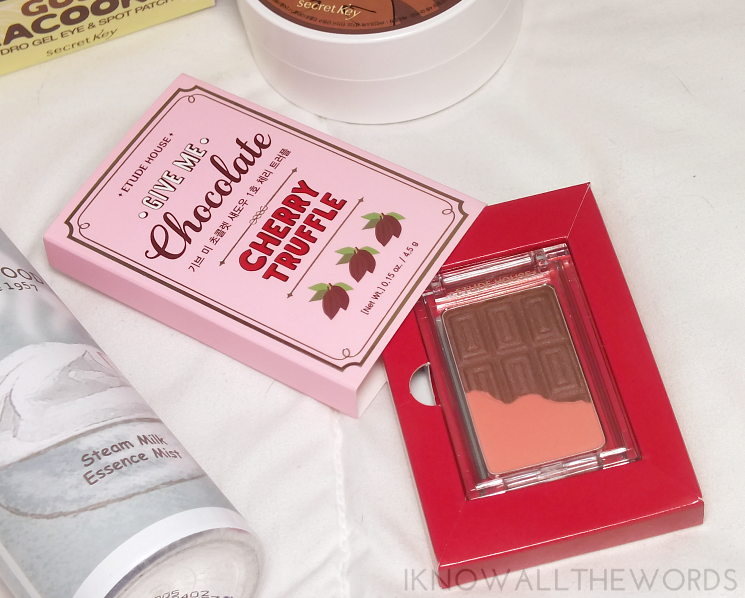 The packaging is adorable,as it resembles a little chocolate bar, and is quite compact. The shadows are supposed to have a chocolate-like scent, but I found it was very sublte and more like a semi-floral sweetness. 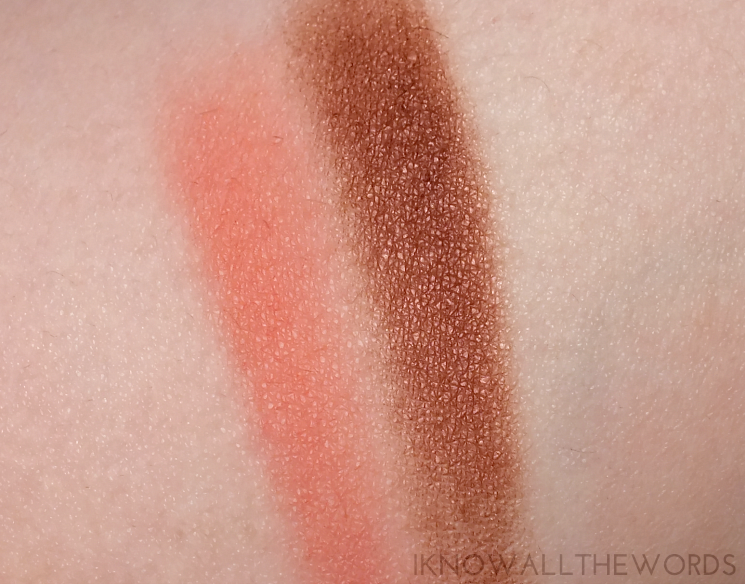 As for the actual shadow, it as a firmer feeling texture, but it applies quite well with pretty decent pigmentation. Skincare is a massive part of the Asian beauty game, and as such there is always something new that hooks me in. 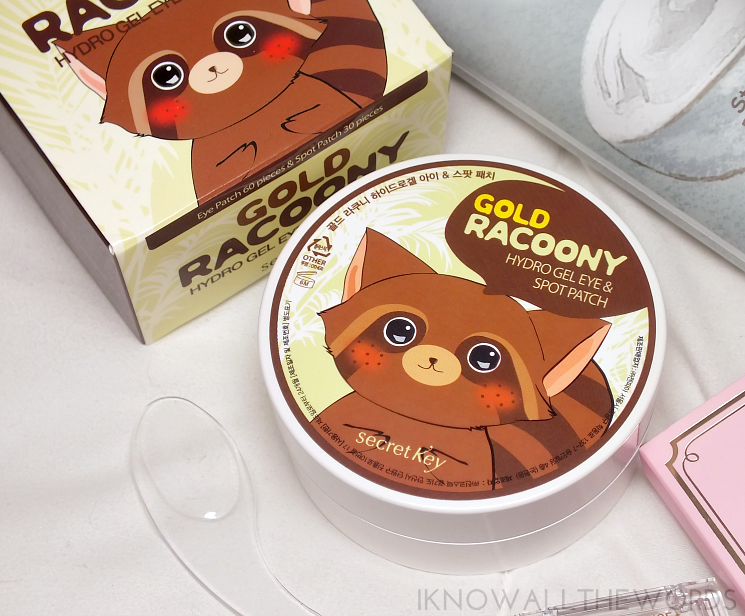 While browsing, I spotted Secret Key Gold Racoony Hydro Gel Eye & Spot Patch and won't deny that the super cute raccoon on the package caught my eye first. 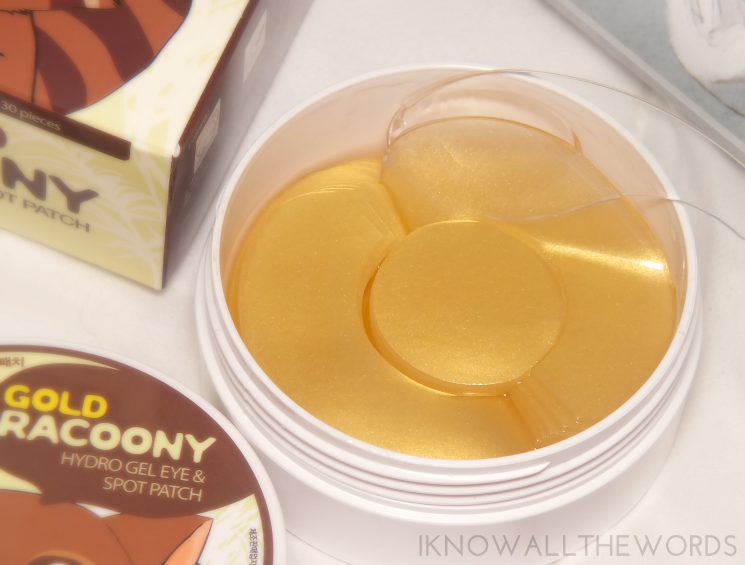 The product within the adorable package is a combo of eye masks and spot treatment masks that promise to be brightening, moisturizing, cooling, soothing, and tightening thanks to the colloidal gold, adenosine and nutrients in the essence they're packed in. Once you open these you notice that there is no shortage essence- these are very saturated- which is great as the pot packaging led me to wonder how long these will last. There is no change these will dry out. So, do these work... Yes and no. I quite like tat they are soothing, cooling, and really just pleasant to use and hat they leave skin feeling soft and moisturized but they don't have much of aa visible effect under the eyes. On blemishes, these do calm and sooth the area while reducing redness redness, so not all is lost. While I don't find these to be brigthening r tightening under the eye, I do like to pop them on pre-makeup as they do fee pretty good. All in all nice, but not necessary and not something I'd repurchase. I quite like how it applies as the packaging emits a fine mist that doesn't leave you soaked, and the spray format saves the life of a cotton round. The mist itself, leaves skin feeling very clean and fresh, lightly moisturized, but with no sticky feel. 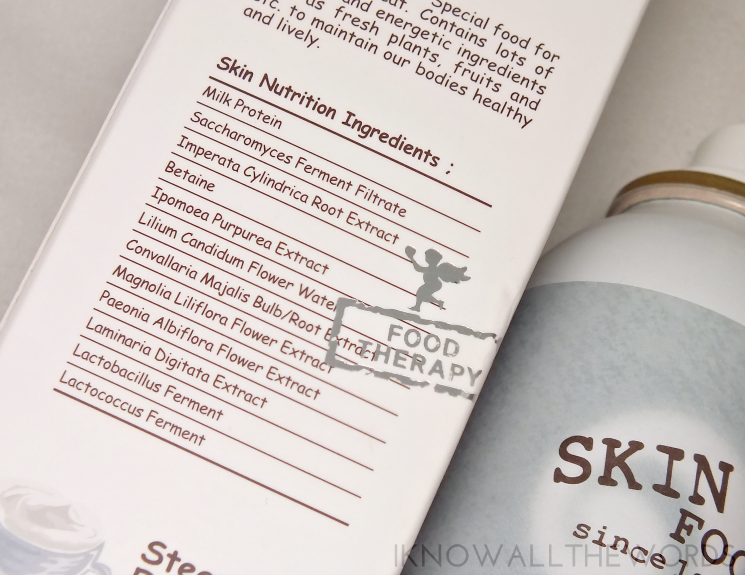 While I quite like the product overall, I could do without the baby powder/floral scent. Its not aa strong scent, and it does dissipate once the mist absorbs I'd just prefer it not be there. Overall, some okay products. They're not earth-shatteringly amazing, but fun to try out nonetheless. Tried any of these? Do you have any favourite Korean/Asian beauty items?